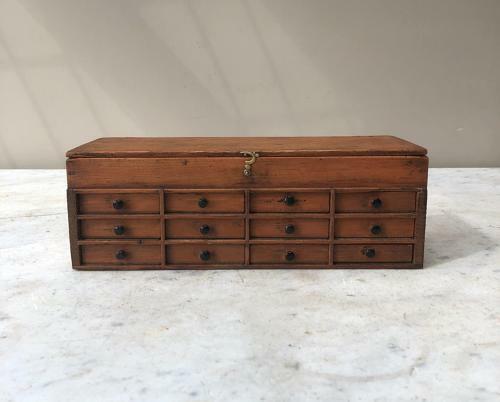 Wonderful Early 20th Century Pine Watchmakers Bank of 12 Drawers with Original Knobs and the top lifts up to extra sectioned storage there. Great original condition..lovely colour. Very handy for storing small items...jewellery etc.